People have always travelled for food. Just think of the Great Famine that happened in Ireland when the country’s potato crop was destroyed by potato blight disease and many people left to make a new living in America between 1845-52. Nowadays, in the more developed world, people travel for food on purpose for pleasure, to find new experiences, new tastes, learn about foreign cuisines. Many food blogs are created by people travelling and reporting their food adventures, TV programs are produced every year in many languages about food and travel. My writing today about the emotional food that travels was sparked when I was reflecting about what I have seen my international colleagues and friends living abroad bring back to Switzerland from their trips to their home countries. I can say that over the years of my observations the popular items that people miss and bring from their home country to give them comfort, provide a home feeling in a foreign surrounding are actually quite basic: bread, sweets, beans, tea, cheese, tortillas, rice, more special items include chorizo or blood sausage. The tea in Switzerland is very weak and people who like black tea with milk must bring it from home or find an Asian food shop locally to stock up if they don’t want to drink a vague almost transparent brownish liquid pretending to enjoy a cup of tea. On top of the list of the South American sweets is a local basic like dulce de leche (Spanish). 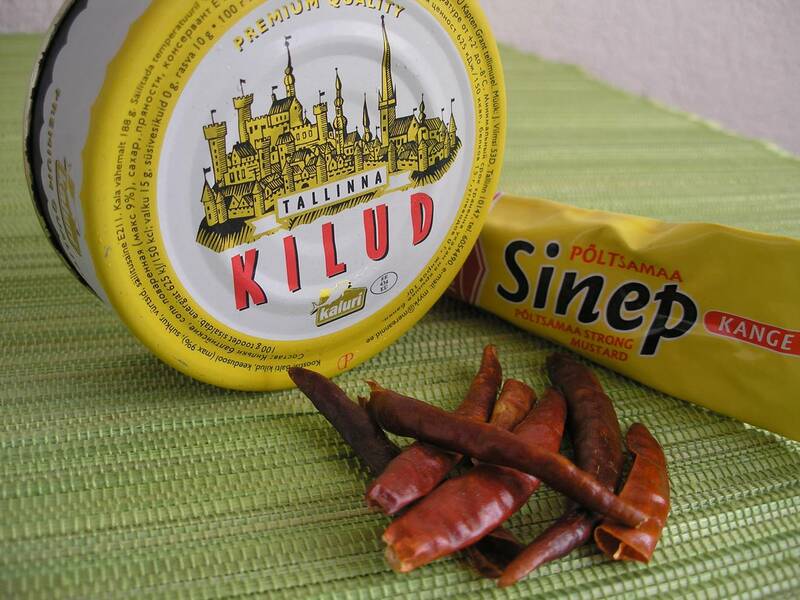 Some exchange students from Uruguay had packed at least 3 or more liters of it for their stay in Estonia. The locally available sweet condensed milk when boiled becomes a similar caramel sort of thing is clearly not the same. My Brasilian colleagues bring doce de leite (Portuguese) from their trips home. Also peanut based sweets from Brasil are very popular items to which I would add my own halvaa from Estonia. Another group of products are spices and sauces. Chiles and spicy sauces from Mexico, my elementary item of a certain type of Mayonnaise that always has space in my suitcase, occasionally Estonian mustard, sometimes flavour mixes that one used to like at home. A certain Chinese spice mix that a friend could not find in Switzerland, he had to bring from the UK. I also bring jams made out of Estonian berries, I have even brought green onions as I can’t find such ones here. Plus Estonian bread, either my Mom’s or my sister’s self-made bread or something new from the huge choice of breads from the country’s many bread makers. Of course there is plenty of bread, sweets, or other food for that matter, here in Switzerland. It is just that special connection one has built with some foods and ingredients since childhood or simply grown to like them so much that the more or less similar substitute products in the foreign country fill the stomach but are incapable of satisfying the real craving. That little piece of dark brown rye bread with some butter and at best times with the Tallinna kilu (sort of spicy anchovies filet, but not quite) creates an emotional connection and a feeling of happiness thousands of kilometres away even if for just 10 minutes. Now, it may seem that there is more import than export. Not true. I can say that there is equally heavy traffic of food going out of Switzerland. Every time I go to Estonia I get a shopping list of things to buy and pack. Again the foods are not always specialty foods, rather simple basics like a certain cream cheese, a red pesto, tortellini, Allgäuer cheese. Since I have been making the Brasilian pão de queijo in my household and introduced my family in Estonia to it, the sour manioc flour travels with me. Not available to buy locally. There is another type of food traffic developing slowly as the world globalizes and global sourcing through friends or international colleagues becomes possible. For example, I have a great supply of goiabada, the guava marmalade from Brasil. I have already got to know some different types of it. Or Arbuequina olive oil from my colleagues in Spain. The recent additions are a tamarind sauce and red chiles from Mexico and romesco sauce from Cataluña. Even if I don’t travel to these countries, I can still get to know them through food. 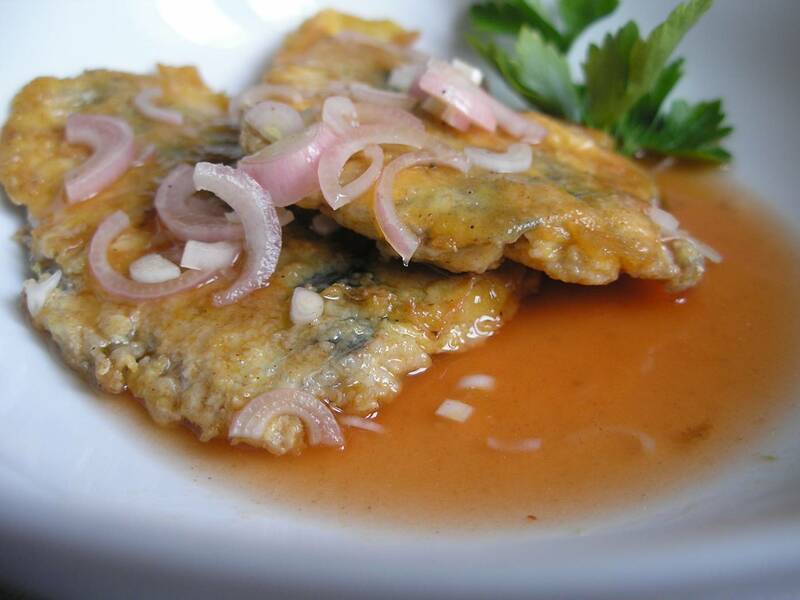 Here is a recipe of a substitute dish for the Estonian räim, a small fish that is bigger than anchovies, but smaller than sardine or perhaps the size of the small sardine. I can buy Italian sardines here and occasionally make the very traditional “Estonian” fried small fish. Remove the bones from the fish. Put some salt and black pepper on the filets, turn the fish in flour, then in the egg mixture. Fry in a pan with some oil for a few minutes. The fish is great just fried, so I eat if warm. Another way is to marinate the fried filets in a mixture of sliced onion, vinegar, sugar, salt, some tomato sauce or ketchup and a little water and eat the next day.